I was looking for something else when I stumbled across these two photos - double exposures, and I believe they are from late summer -93. Excuse the bad cell photos of the pictures. 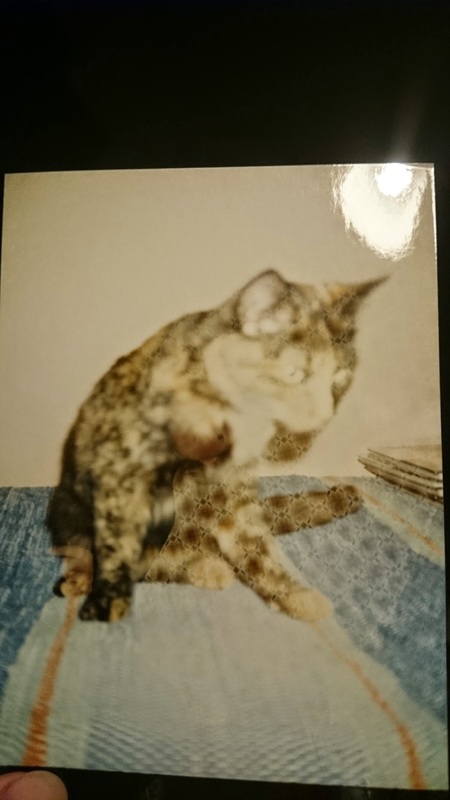 This one is of my cat sitting on the "other" bed in the room I always stayed in when I visited grandfather, on a rug that my grandmother wove and that I still have. It is disintegrating somewhat (the warp is, anyway) and I am thinking I should try to get some equivalent looking warp and restore it. It has, as far as I know, never been a floor rug. 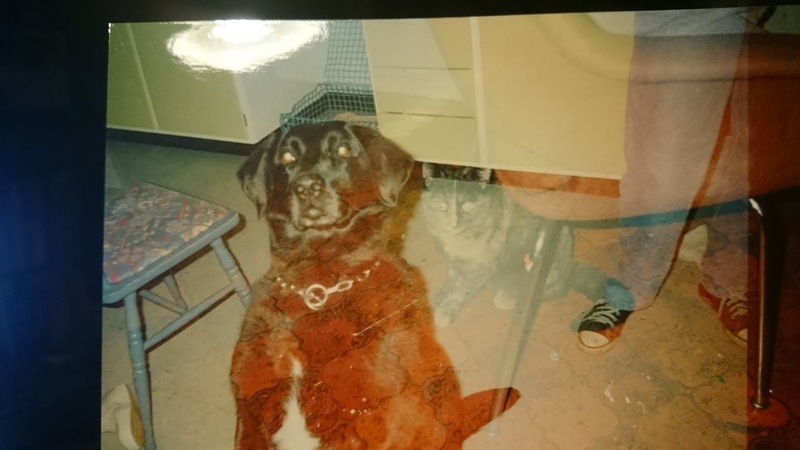 The second photo is of my dog and my mother's legs, taken in my grandfather's kitchen, the overlay is my cat, taken in the hallway at the house we lived at the time (some hours carride away from grandfather's house).